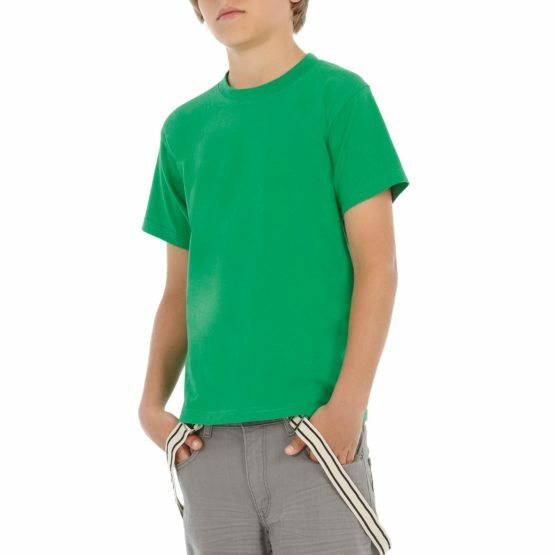 Short sleeved t-shirt, thin crew neck collar in self-fabric. Side seams. Washing Instructions :- Wash - 40. No - bleach. Dryer. Iron - 2. No - dry clean. Fabric :- Single Jersey, 100% Pre-shrunk ringspun cotton. Weight :- 145gsm. Size/To-fit :- XS/8, Sml/10, Med/12, Lge/14, XL/16, XXL/18. XXLarge only available in Black, Bottle green, Deep red, Navy, Red, Royal blue, Sports grey and White. Short sleeved t-shirt. Thin crew neck collar in 1x1 slub yarn rib. Side seams. Self-fabric loop on sleeves head gathering effect. Blind stitching to hem. Washing Instructions :- Wash - 40. No - bleach. Dryer. Iron - 2. No - dry clean. Fabric :- Single Jersey with slub yarn, 100% Pre-shrunk ringspun cotton. Weight :- 150gsm. Size/To-fit :- XS/8, Sml/10, Med/12, Lge/14, XL/16. Short-sleeved base-ball T-shirt. Necktape. Contrasting collar. Raglan sleeves. Exact 2-ply crew neck. 1x1 ribbed collar with elastane. Bottom and sleeve hems with double topstitching. Side seams. Washing Instructions :- Wash 40 degrees. No bleach. Dryer. Iron 2 .No dryclean. Fabric :- 100% Pre-shrunk ringspun cotton. Weight :- 185gsm. Sixe/To-fit" :- 3-4/28, 5-6/30, 7-8/32, 9-12/34, 12-14*/36. *Size 12-14 is VATable. 100% Organic cotton Tee, featuring a crew neck, short sleeves and side seams. This luxury women's T-shirt is made of superior combed ring-spun organic cotton, with a very soft hand feel. Its smooth and even surface provides the best blank canvas for printing . Thanks to "B&C No Label" solution, it's perfect for rebranding. This short-sleeved t-shirt is clean and minimalistic for any occasion. Comfortable body length construction for a perfect retail look. Side seams ensure the best fit and a feminine silhouette. For long-lasting comfort, the neck seams are reinforced with soft binding. Minimalist cut and detailing suitable for many uses and any end user requirement. The T-shirt is made from combed organic soft jersey with a luxurious hand feel and long-lasting comfort. Extra soft and smooth thanks to the ring-spun cotton. Combed yarn ensures finer, smoother, stronger, more compact, more uniform and cleaner fabric. Comfortable and snug to wear thanks to the organic thin yarn and dense fabric construction. Tested and approved for all standard printing techniques applicable on cotton.. Washing Instructions :- 40 degree wash. Do not bleach. Tumble dry low heat setting. Warm iron. Do not dry clean or remove stains with solvents. Fabric :- 100% Organic combed ringspun cotton. Weight :- 140gsm. Size/To-fit :- XS/8, Sml/10, Med/12, Lge/14, XL/16, XXL/18-20. V-neck TEE by B&C fits perfectly, short sleeves and side seams. This luxury women's T-shirt is made of superior combed ring-spun organic cotton, with a very soft hand feel. Its smooth and even surface provides the best blank canvas for printing . Thanks to "B&C No Label" solution, it's perfect for rebranding. Stripped back to the essentials, this short-sleeved T-shirt is clean and minimalistic for any occasion. For long-lasting comfort, the neck seams are reinforced with soft binding. Side seams ensure the best fit and a feminine silhouette. Cut in an easy, medium fit, it's the kind of tee you'll dress up and down. Thin medium deep V collar rib for modern, up to date appearance. Minimalist cut and detailing suitable for many uses and any end user requirements. Tested and approved for all standard printing techniques applicable on cotton. Washing Instructions :- 40 degree wash. Do not bleach. Tumble dry low heat setting. Warm iron. Do not dry clean or remove stains with solvents. Fabric :- 100% Organic combed ringspun cotton. Weight :- 140gsm. Size/To-fit :- XS/8, Sml/10, Med/12, Lge/14, XL/16, XXL/18-20. 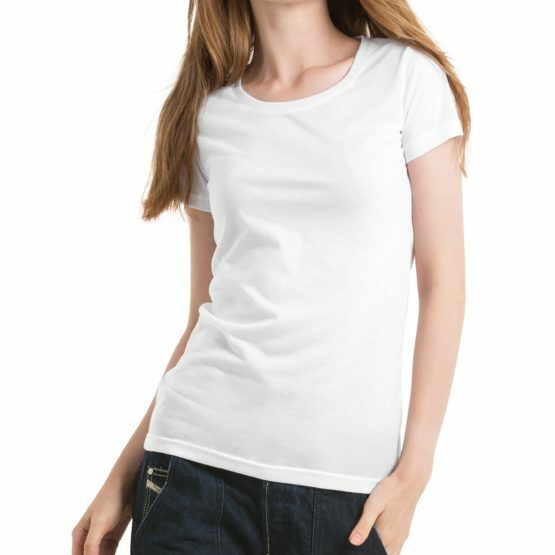 This luxury woman's T-shirt is made of superior SLUB ring-spun organic cotton with a very soft hand feel and a trendy streaky texture. Its smooth and even surface provides the best blank canvas for printing . Thanks to "B&C No Label" solution, it's perfect for rebranding. Cut in an easy, medium fit, it's the kind of tee you'll dress up and down. Comfortable body length construction for a perfect retail look. Side seams ensure the best fit and a feminine silhouette. For long-lasting comfort, the neck seams are reinforced with soft binding. Thin collar in self fabric for a modern, up to date appearance.. Washing Instructions :- 30 degree wash. Do not bleach. Do not tumble dry. Warm iron. Do not dry clean or remove stains with solvents. Fabric :- 100% Organic combed ringspun cotton. Weight :- 120gsm. Size/To-fit :- XS/8, Sml/10, Med/12, Lge/14, XL/16, XXL/18-20. 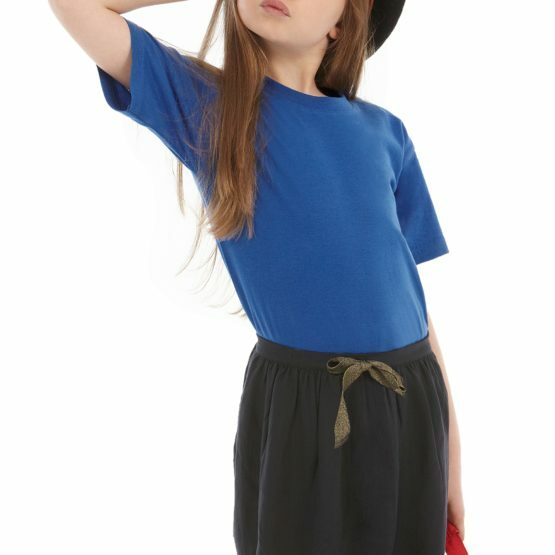 Featuring a crew neck, short sleeves and side seams. 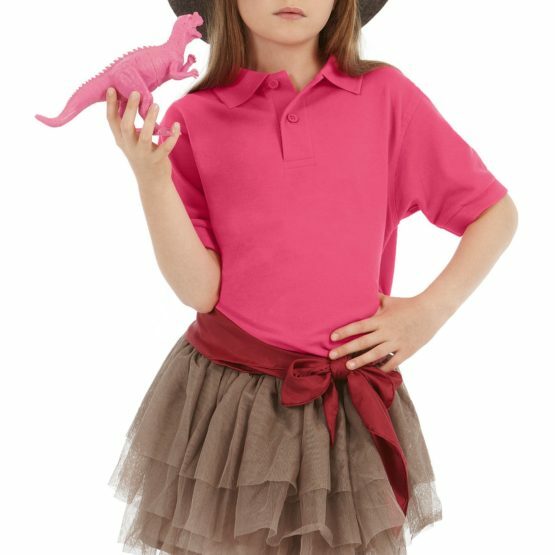 This supersoft woman's T-shirt is made of innovative Triblend fabric which combines the benefits of its 3 components (polyester-cotton-viscose): it is breathable, durable, ultra soft and very resilient. The smooth, even surface makes it a perfect printing support for all printing techniques. Thanks to "B&C No Label" solution, it's perfect for rebranding. Comfortable body length construction for a perfect retail look. Side seams ensure the best fit and a feminine silhouette. For long-lasting comfort, the neck seams are reinforced with soft binding. Thin collar in self-fabric for a modern, up to date appearance. Easy, relaxed. draped shape and minimalist cut and detailing suitable for many uses and end user requirements. Sublimation friendly. Washing Instructions :- 40 degree wash. Do not bleach. Tumble dry low heat setting. Warm iron. Do not dry clean or remove stains with solvents. Fabric :- 50% Polyester, 25% Cotton, 25% Viscose. Weight :- 130gsm. Size/To-fit :- XS/8, Sml/10, Med/12, Lge/14, XL/16, XXL/18-20. 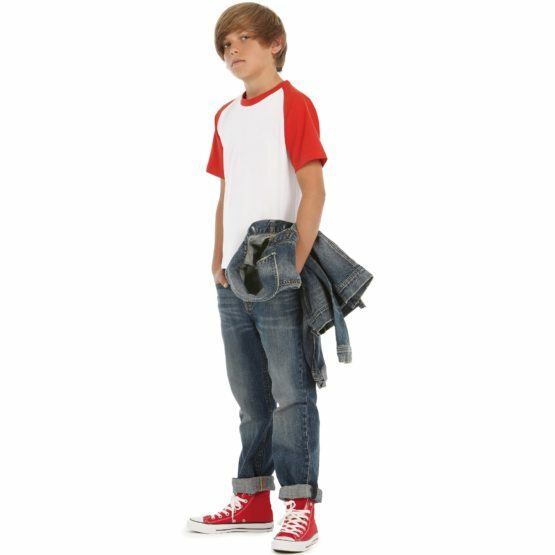 Featuring a V-neck, short sleeves and side seams. 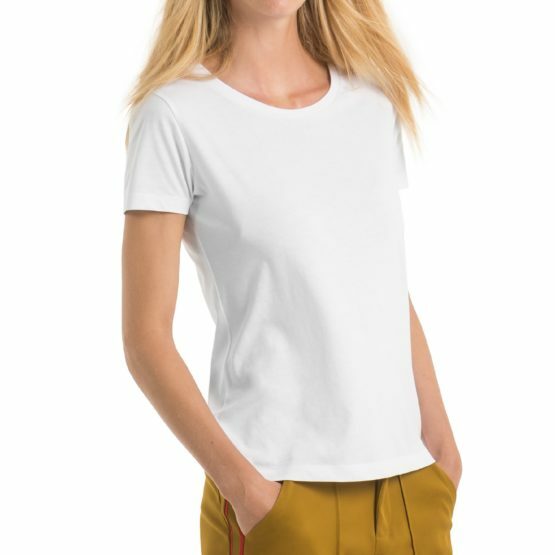 This supersoft women's T-shirt is made of innovative Triblend fabric which combines the benefits of its 3 components (polyester-cotton-viscose): it is breathable, durable, ultra soft and very resilient. The smooth, even surface makes it a perfect printing support for all printing techniques. Thanks to "B&C No Label" solution, it's perfect for rebranding. Comfortable body length construction for a perfect retail look. Side seams ensure the best fit and a feminine silhouette. For long-lasting comfort, the neck seams are reinforced with soft binding. Thin medium deep V collar in self fabric for a modern, up to date appearance. Easy, relaxed. draped shape and minimalist cut and detailing suitable for many uses and end user requirements. Very smooth and even surface allows bright and crisp printing output and sublimation friendly. Washing Instructions :- 40 degree wash. Do not bleach. Tumble dry low heat setting. Warm iron. Do not dry clean or remove stains with solvents. Fabric :- 50% Polyester, 25% Cotton, 25% Viscose. Weight :- 130gsm. Size/To-fit :- XS/8, Sml/10, Med/12, Lge/14, XL/16, XXL/18-20. 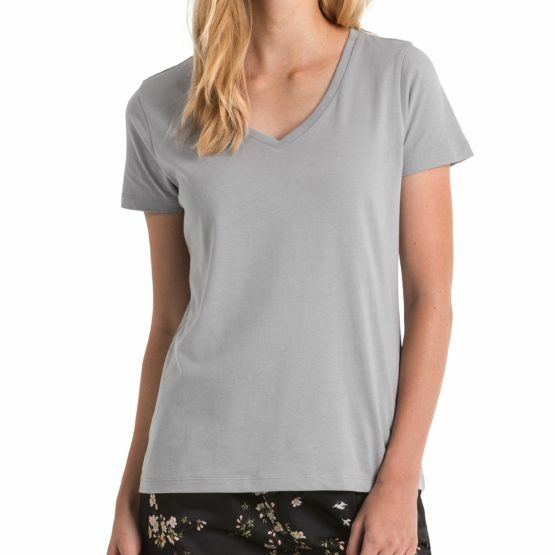 This very qualitative women's 100% polyester "cotton-feel" TEE by B&C fits perfectly, featuring a crew neck, short sleeves and side seams is IDEAL for SUBLIMATION. All printing techniques are applicable and its smooth, even surface is a great printing support. Thanks to "B&C No Label" solution, it is perfect for rebranding. Comfortable body length construction for a perfect retail look. For long-lasting comfort, the neck seams are reinforced with soft binding. Thin collar in self-fabric for modern, up to date appearance. Minimalist cut and detailing suitable for many uses and any end user requirements. High quality perception thanks to no transparency on the fabric. Printability/Decoration. Ideal support for sublimation and all other standard printing techniques. Washing Instructions :- 40 degree wash. Do not bleach. Do not tumble dry. Do not iron. Do not dry clean or remove stains with solvents. Fabric :- 100% Polyester. Weight :- 140gsm. Size/To-fit :- XS/8, Sml/10, Med/12, Lge/14, XL/16, XXL/18-20. Short sleeved t-shirt. Feminine v-neck collar in self fabric with edge stitching. Raglan sleeves. Bottom and sleeve hems with double top stitching. Inside flatlock for more comfort. Necktape. Side seams. Washing Instructions :- Wash - 40. No - bleach. Dryer. Iron - 2. No - dry clean. Fabric :- Single Jersey, 100% Pre-shrunk ringspun combed cotton. Weight :- 120gsm. Size/To-fit :- XS/8, Sml/10, Med/12, Lge/14, XL/16. Short-sleeved t-shirt. Generous cut with tubular construction. Exact 2-ply crew neck, 1x1 ribbed collar with Elastane. Washing Instructions :- Wash - 40. No - bleach. Dryer. Iron - 2. No - dry clean. Fabric :- Single Jersey, 100% Pre-shrunk ringspun cotton. Weight :- 145gsm. Sixe/To-fit" :- 1-2**/26, 3-4/28, 5-6/30, 7-8/32, 9-12/34, 12-14*/36. *Size 12-14 is VATable. **Size 1-2 Years only available in Black, Gold, Navy, Orange, Red, Royal Blue, Sky blue and White. Long-sleeved t-shirt. Generous cut with tubular construction. Exact 2-ply crew neck 1x1 ribbed collar with Elastane. Washing Instructions :- Wash - 40. No - bleach. Dryer. Iron - 2. No - dry clean. Fabric :- Single Jersey, 100% Pre-shrunk ringspun cotton. Sport Grey: 85% Pre-shrunk ringspun cotton, 15% Viscose. Ash: 99% Pre-shrunk ringspun cotton, 1% Viscose. Weight :- 145gsm. Size/To-fit" :- Sml/36-38, Med/38-40, Lge/41-42, XL/43-44, XXL/45-47, 3XL/47-49. 3XL only available in Black, Navy, Red and White. Short-sleeved t-shirt. Generous cut with tubular construction. Exact 2-ply crew neck, 1x1 ribbed collar with Elastane. Washing Instructions :- Wash - 40. No - bleach. Dryer. Iron - 2. No - dry clean. Fabric :- Single Jersey, 100% Pre-shrunk ringspun cotton. Weight :- 185gsm. Sixe/To-fit" :- 3-4/28, 5-6/30, 7-8/32, 9-12/34, 12-14*/36. *Size 12-14 is VATable. Short sleeved t-shirt. Wide crew neck collar in 1x1 rib. Side seam. Washing Instructions :- Wash - 40. No - bleach. Dryer. Iron - 2. No - dry clean. Fabric :- Single Jersey, 100% Pre-shrunk ringspun cotton. Weight :- 185gsm. Size/To-fit :- XS/8, Sml/10, Med/12, Lge/14, XL/16, XXL/18-20. Short-sleeved polo shirt. Flat knitted rib collar and cuffs. Reinforced placket with 2 matching colour buttons. Fabric :- Piqué, 100% Pre-shrunk ringspun combed cotton. Weight :- 180gsm. Sixe/To-fit" :- 5-6/30, 7-8/32, 9-12/34, 12-14*/36. *Size 12-14 is VATable.